"A library is a good place to go when you feel unhappy, for there, in a book, you may find encouragement and comfort. A library is a good place to go when you feel bewildered or undecided, for there, a book, you may have your question answered." Our Book Clubs are changing up a bit, and it's exciting! We now offer the Read Me a Movie club for Grades 1 & 2, the Rocket Readers club for Grades 3 & 4 and the Page Turners club for Grades 5 & 6. What are we reading in our book clubs this month? Read on to find out! 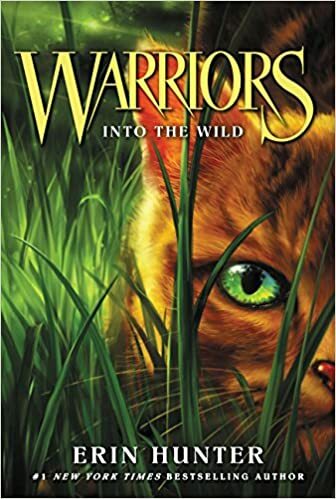 This month we read the first Warriors cats book Into the Wild by Erin Hunter. For generations, four Clans of wild cats have shared the forest according to the laws laid down by their ancestors. But the warrior code has been threatened, and the ThunderClan cats are in grave danger. The sinister ShadowClan grows stronger every day. Noble warriors are dying—and some deaths are more mysterious than others. In the midst of this turmoil appears an ordinary housecat named Rusty… who may turn out to be the bravest warrior of them all. What did we do at book club? 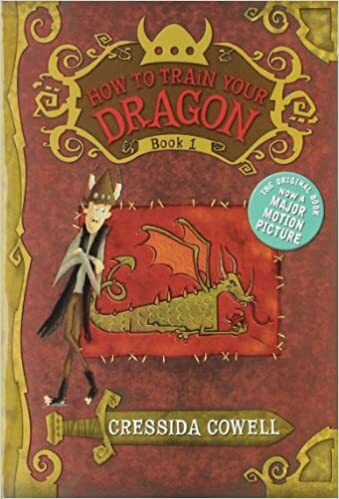 This month we read How to Train your Dragon by Cressida Cowell. This was our final meeting of the Rocket Readers bookclub for the 2017-2018 school year. We wrapped up the year by reading How to Train Your Dragon by Cressida Crowell. The kids thoroughly enjoyed reading the book, and the discussion following was hilarious. We started off our meeting by creating our own Viking names like in the book. The room was an uproar of laughter during this process. Then we turned our focus to creating a shield for each of the students. I have never seen this group so quiet and focused as they were while creating their own shields. The hardwork continued as we watched a brief video from the popular How to Train Your Dragon movie series. The kids had fun discussing how the movie changed details from the book and why they had to do that. It’s been a great year with this group of kids. We’ve read a variety of books from mystery to biography to adventure. I hope each of the kids found something they loved in the pages of these books. 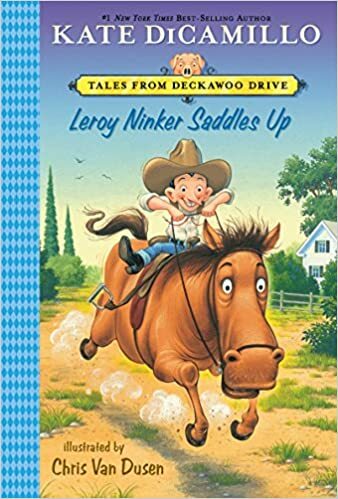 This month we read Leroy Ninker Saddles Up by Kate DiCamillo. Leroy Ninker has a hat, a lasso, and boots. What he doesn’t have is a horse – until he meets Maybelline, that is, and then it’s love at first sight. Maybelline loves spaghetti and sweet nothings, and she loves Leroy, too. But when Leroy forgets the third and final rule of caring for Maybelline, disaster ensues. Can Leroy wrestle fate to the ground, rescue the horse of his heart, and lasso loneliness for good? Our small group enjoyed this book. We thought it was quite funny and entertaining. Most in the group had read previous books by Kate DiCamillo and knew of Leroy Ninker from her other series, Mercy Watson. Just like Leroy, none of us had a horse of our own… so we made one! We enjoyed a snack brought by Gavin to wrap up our Bookworms book club. 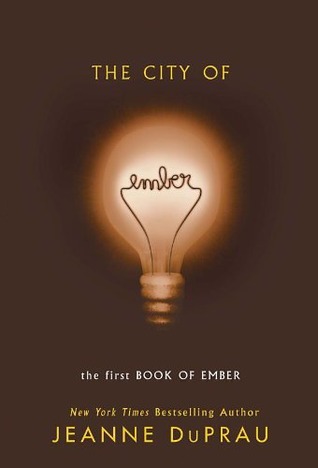 This month we read The City of Ember by Jeanne DuPrau. The kids liked this book a lot. I specifically asked them not see the movie before this discussion, because it is very different from the book (and in my opinion, not at good a story line.) This was an interesting dystopian story that got a lot of discussion going. What if you lived there and the light were about to go out? Our craft involved "antiquing" paper with the printed instructions the characters were to follow in the book. The kids loved baking the paper, something they would never get to do at home. We then took a long snack break and talked about all kinds of books we liked and had read. It was a great club meeting. 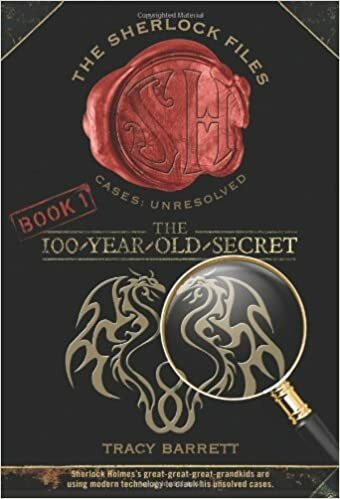 This month we read The 100-Year-Old Secret by Tracy Barrett. Today was an exciting day for the Rocket Readers. After the kids completed reading The Sherlock Files: The 100 Year Old Case, we celebrated by having a breakout room. This popular trend is sweeping the nation and has arrived at your library. The kids were given a mission by the Society for the Preservation of Famous Detectives to use logic to solve all the riddles and open all the locks. They were given 40 minutes to try to escape to be allowed to join this prestigious group. Unfortunately, they weren’t able to complete the task. Judging by the chatter after our meeting, I think they still had a lot of fun. I’m hoping this challenge was fun for them and they want to try another breakout at their library soon. We have a few coming up this summer, including a Star Wars themed room on May 4th. 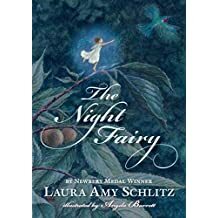 This month we read The Night Fairy by Laura Amy Schlitz. What would happen to a fairy if she lost her wings and could no longer fly? Flory, a young night fairy no taller than an acorn and still becoming accustomed to her wings, is about to find out. What she discovers is that the world is very big and very dangerous. But Flory is fierce and willing to do whatever it takes to survive. Although this was Ms. Ashley’s favorite book of the year so far, it did not garner such high praise with the kids. After a quick discussion, we made our own fairy garden. Look for it on the patio outside of the children’s area. We also painted watercolors of fairies, Scuggle the Squirrel, and other characters found in the book. A creative snack provided by Lena. We had animal crackers to represent the animals in the book, fruit snacks for the fruit Flory liked to eat, and a cherry drink for the dried cherries that were her favorite. 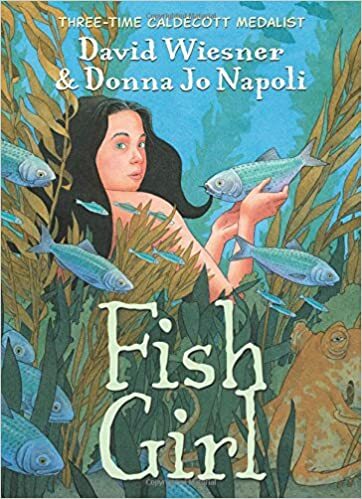 This month we read Fish Girl by David Weisner. Reading a graphic novel was a refreshing change for the Page Turners. We talked about how what you see in the panels changes your perception of the story. Sometimes you are able to interpret more, but also sometimes less. We next tried making our own humorous story panels. Zoo-Wee-Mama! We then made ocean slime that sparkled and had ocean creatures in it. That was a big hit! Snacks included blue jello with fish crackers...of course! 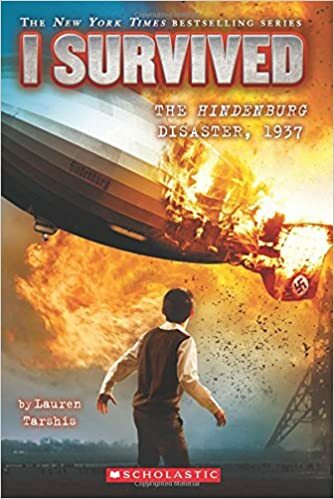 This month we read I Survived the Hindenburg Disaster by Lauren Tarshis. The greatest flying machine ever built is about to crash! For eleven year-old Hugo Ballard, flying on the Hindenburg is a dream come true. Hugo, his parents, and his four-year-old sister Gertie, are making the thrilling four thousand mile journey across the Atlantic in a zeppelin as big as the Titanic. But as the zeppelin gets ready to land, a blast rocks the Hindenburg and fire consumes the ship. The entire disaster lasts a mere thirty-two seconds, but in those few seconds, Hugo finds himself separated from his family and in a desperate race to escape the flames. The Hindenburg is doomed. And so, it seems, is Hugo. Will he survive this historic disaster? It was an exciting meeting at Rocket Readers this month. For March we discussed the book I Survived the Hindenburg Disaster. After a very lively discussion about the aircraft, the explosion, and the survivors the kids and I decided to explore the disaster further. We discussed the interior of the craft, the cost of tickets (equivalent to $7,000/each in today’s money), and the explosion. We even watched actual footage of a tour of the ship and of the disaster. After we wrapped up our discussion, we did a little experimenting with air travel ourselves. We had balloon races! I don’t know if I can describe the level of noise and excitement in the room this evening. When all was said and done, I think everyone felt like their “aircraft” was a winner. 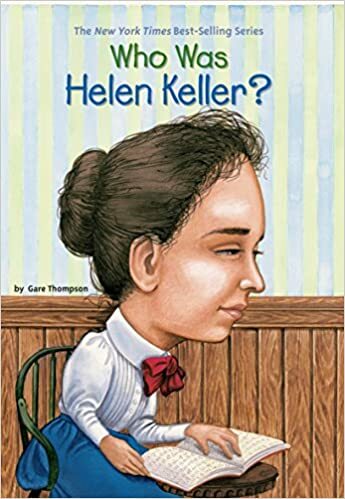 This month we read Who was Helen Keller by Gare Thomspon. Reading a biography was a nice change of pace for our club. Although it is a difficult concept to imagine what Helen Keller went through, we attempted to spell out our names in sign language, and spell basic nouns using braille. Spelling was one thing, trying to “read” the words with our eyes closed was another! We finished the evening out with snack provided by Ms. Ashley. 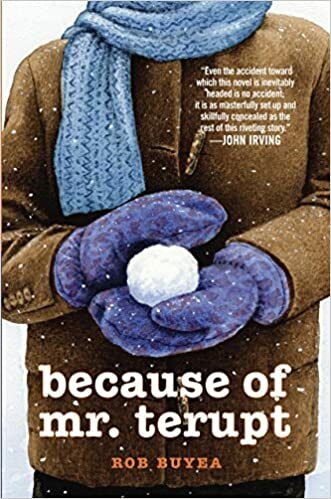 This month we read Because of Mr. Terupt by Rob Buyea. It’s the start of fifth grade for seven kids at Snow Hill School. There’s . . . Jessica, the new girl, smart and perceptive, who’s having a hard time fitting in; Alexia, a bully, your friend one second, your enemy the next; Peter, class prankster and troublemaker; Luke, the brain; Danielle, who never stands up for herself; shy Anna, whose home situation makes her an outcast; and Jeffrey, who hates school. Only Mr. Terupt, their new and energetic teacher, seems to know how to deal with them all. He makes the classroom a fun place, even if he doesn’t let them get away with much . . . until the snowy winter day when an accident changes everything and everyone. This book was a favorite among our Page Turners. It was realistic school fiction and prompted great discussion about (unnamed) people we know like each of the characters, and the teacher. Like Mr. Terupt. we also looked for $1.00 words, which was a lot of fun. For our craft we made traditional "worry dolls" like some of the characters do in the book during a tough time. Snacks rounded out the evening nicely. 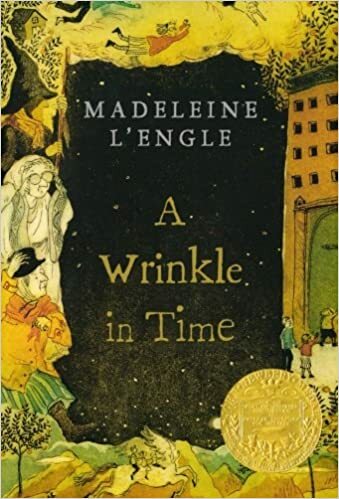 This month we read A Wrinkle In Time by Madeline L'Engle. A Wrinkle in Time is the story of Meg Murry, a high-school-aged girl who is transported on an adventure through time and space with her younger brother Charles Wallace and her friend Calvin O'Keefe to rescue her father, a gifted scientist, from the evil forces that hold him prisoner on another planet. Our February book club meeting for the Rocket Readers was a boisterous affair. We read A Wrinkle in Time by Margaret L’engle in anticipation of the upcoming film release. Many of the kids loved the book and had a lot to share. The best parts of our discussion were when we began to imagine what other worlds could look like, what their inhabitants would be like, and what challenges they may have to face if they traveled there. Wow, these kids have great imaginations! They couldn’t wait to talk about their ideas, and help build on the imaginings of their friends. We took a brief break for a snack on interstellar cake balls, which were a huge hit and extremely delicious! Finally we wrapped up the night with a very popular activity. We made Galaxy Slime! With a simple mixture of glue, saline solution, and baking soda the kids created their own slime to take home. The room was all aflutter with excitement as the kids played in their gooey concoction! This month we read a Ready, Freddy book, Ready, Set, Snow by Abby Klein. Everybody knows shark expert Freddy Thresher is also a snowshoe whiz--or is he? When Mrs. Wushy announces that the class will be competing in the mini-Winter Olympics, everyone is excited for the competition. But, after betting Max the bully that he will win the Snowshoe Race, Freddy heads straight for snowshoe boot camp, and fast! Will Freddy be able to win gold amid sled pulls and the infamous Snowball Toss? We had a great book club meeting! In honor of the upcoming Winter Olympics, we made tiny tin Olympic athletes that skate and slide with the help of a magnet. These super-cute keepsakes were a big hit the group. We also watched a promo for the upcoming Olympics and discussed what sports are our favorites to watch and/or participate in. Book club finished off with juice and cookies brought in by Macallister. This month we read Greenglass House by Kate Milford. It’s wintertime at Greenglass House. The creaky smuggler’s inn is always quiet during this season, and twelve-year-old Milo, the innkeepers’ adopted son, plans to spend his holidays relaxing. But on the first icy night of vacation, out of nowhere, the guest bell rings. Then rings again. And again. Soon Milo’s home is bursting with odd, secretive guests, each one bearing a strange story that is somehow connected to the rambling old house. Milo and Meddy, the cook’s daughter, must decipher clues and untangle the web of deepening mysteries to discover the truth about Greenglass House…and themselves. This book was a more in-depth read. The book was comparable to a classic Agatha Christie in style and setting, although with a modern, kid-friendly writing. Discussion ensued, and some huge plot twists were discussed at length. Because the characters in the book play role-playing games, we paired up to try our own role-playing game app. Although they didn’t want to stop the app, the craft of a stained-glass window was a worthy carrot on a string. A cozy snack of popcorn and Capri Sun rounded out our evening. 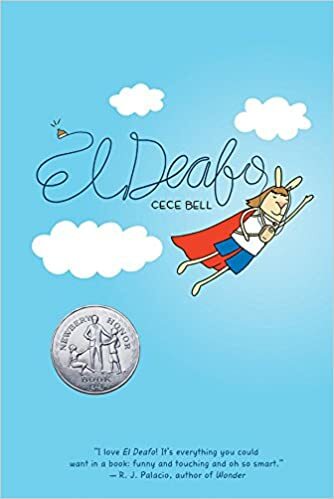 This month the kids really enjoyed reading El Deafo by Cece Bell. This autobiography/graphic novel follows the author’s early elementary years after she lost her hearing to a serious illness. Along the way, Cece learns that our differences are our superpowers! We had a very spirited conversation about this topic. This evening our activities included watching a message from the author, testing how difficult lip-reading can be, and discussing our own superpowers. I am always impressed with how much the children can take away from the books in bookclub, and this month was no different. Following a theme from the book, they were sent out after our meeting to share “warm fuzzies” with their friends and family. We finished up the evening with a fun craft, and made our very own comic book wallets. This was a fun book that everyone enjoyed reading. Dory has a terrific imagination and we played off of that to get imaginative too. We came up with our own imaginary friends, similar to the ones that Dory loves playing with so much. After writing down our thoughts on paper, we made our friends come to life, using a huge variety of craft supplies. And boy did our group get creative! We ended our fun evening with birthday treats provided by Alissa. 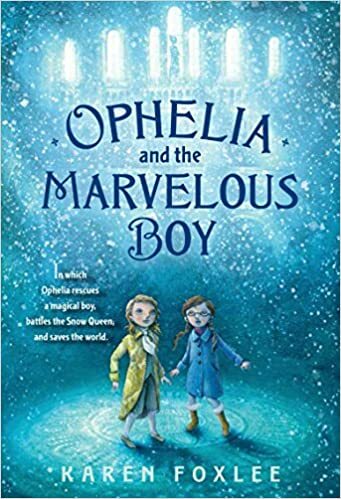 For this month we read Ophelia and the Marvelous Boy by Karen Foxlee. A modern-day fairy tale of sorts, this book was perfect for a cold December reading. We talked about how this book was sometimes realistic, sometimes scary, sometimes fantastical. We each made a beautiful Winter Clock, which featured prominently in the story. They turned out beautifully! snacks and more discussion followed. We had a great time! This month we read The Vanishing Coin by Kate Egan. Fourth grade was supposed to be a fresh start, but Mike's already back in the principal's office. He's not a bad kid. He just can't sit still. And now, his parents won't let him play soccer anymore; instead he has to hang out with his new neighbor Nora, who is good at everything! Then, Mike and Nora discover the White Rabbit. It's an odd shop―with a special secret inside. Its owner, Mr. Zerlin, is a magician, and, amazingly, he believes Mike could be a magician, too. Has Mike finally found something he's good at? This month the Rocket Readers read the book The Vanishing Coin by Kate Egan and Mike Lane. 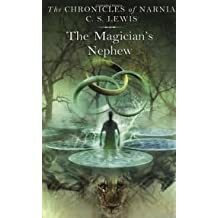 This is the first book in the Magic Shop Series. A fun bonus to this title is that they included instructions for four different magic tricks for the reader to try. The group was very enthusiastic to share their thoughts about the selection. Additionally, they loved telling stories about the magic tricks they attempted while reading the book. I showed the kids a great video clip of a slight of hand magician that left them in stiches! We then attempted a little magic of our own. They kids made a very cool magic wallet and left with their own vanishing coin trick in hand. So if you see any of those Rocket Readers out there, ask them to show you a trick. 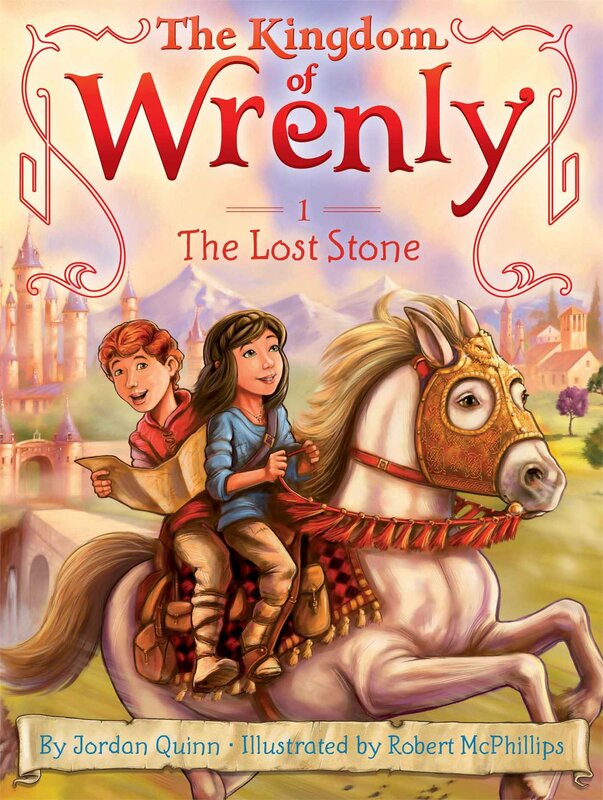 For December we read the first book in the Kingdom of Wrenly series, The Lost Stone, by Jordan Quinn. Meet Lucas, the eight year-old prince, and Clara, the daughter of the Queen’s seamstress. Lucas is an only child who longs to make friends. Clara knows the kingdom well, so when the Queen’s emerald goes missing, they travel throughout Wrenly on an epic adventure. King Caleb has promised to reward the person who finds the precious stone, and Lucas and Clara are determined to search the entire kingdom until they find it! Our group thoroughly enjoyed this book. There was a lot of discussion about adventures and living in a castle. We talked about the different places we would like to visit, both in the story, and in our world. After our chat, we made our own castles. The club was excited to take them home and had some great ideas for adding to them. I can’t wait to see what they do! We finished our meeting with cupcakes, Buckeyes, and milk. Our yummy treats were provided by Addie. 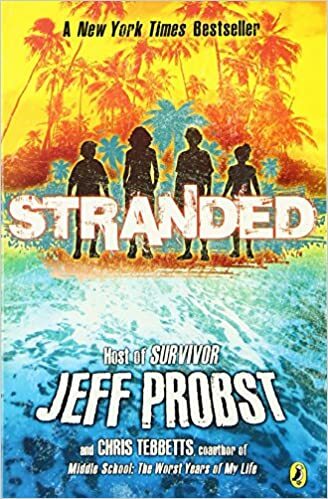 For November, the Page Turners read Stranded by Jeff Probst. It was supposed to be a vacation, and a chance to get to know each other better. But when a massive storm sets in without warning, four kids are shipwrecked alone on a rocky jungle island in the middle of the South Pacific. No adults. No instructions. Nobody to rely on but themselves. Can they make it home alive? A week ago, the biggest challenge Vanessa, Buzz, Carter, and Jane had was learning to live as a new blended family. Now the four siblings must find a way to work as a team if they're going to make it off the island. They're all in this adventure together, but first they've got to learn to survive one another. After lively discussion about what the characters did to survive, and what we would do the same (and differently), we tried each took a turn at a video-log journal, just like one of the characters in the book. Watching ourselves on playback was pretty hilarious! We then did a craft project where we made ships in a bottle that really float. Snacks topped off our evening, of course! This November we read a Judy Moody & Stink book, The Wishbone Wish by Megan McDonald. The town's annual Turkey Trot race and festival is coming up, and Judy and Stink are training to win. Judy has decided that she is going to take home the big prize: a fat, juicy turkey. They can taste it already: the moist turkey, the hot gravy, the savory stuffing, the cranberry sauce! But what if they don't win a mouthwatering bird? What then? Flying turkey gizzards! Will the Moody family end up starving on T-day, like ye pilgrims of olde, or will Grandma Lou cook up a tasty Franksgiving solution? Our group was torn on this book. Half loved it and the other half thought it was just okay. No worries, we still had fun at book club! After our discussion, we made our very own turkeys to hide throughout the library. The kids had a blast finding places for them to peak out of. Next time you’re visiting the library, see if you can spot one! Our night was capped off with Quack Daddy donuts and chocolate milk, provided by Payten. For October the Page Turners read Wait Till Helen Comes by Mary Downing Hahn. 12-year-old Molly and her 10-year-old brother, Michael, have never liked their 7-year-old stepsister, Heather. Ever since their parents got married, she's made Molly and Michael's life miserable. Now their parents have moved them all to the country to live in a house that used to be a church, with a cemetery in the backyard. If that's not bad enough, Heather starts talking to a ghost named Helen and warning Molly and Michael that Helen is coming for them. Molly feels certain Heather is in some kind of danger, but every time she tries to help, Heather twists things around to get her into trouble. It seems as if things can't get any worse. But they do…when Helen comes. This ghost story was just right for the month of Halloween. After talking about the story itself we made 'ghost pens' with invisible ink. The writing only showed up under black light! After this we painted spooky scenes on jars painted purple. With a battery-powered candle inside, they added a very nice, creepy touch. Snacks followed, to the delight of all. This month we read It's Halloween,You 'Fraidy Mouse! by Geronimo Stilton. It's Halloween on Mouse Island, and it seemed like everyone was out to get me, Geronimo Stilton! My cousin Trap kept pulling scary pranks on me. And then my sister Thea told me I had to write a book about Halloween in less than one day! Before you could say boo, my nephew Benjamin had dragged me to a graveyard to do research. There I met a very spooky mouse who -- yikes! -- tried to lock me up in her coffin! Oh, how would a 'fraidy mouse like me ever survive the year's scariest holiday? It's Halloween, You 'Fraidy Mouse! This was an entertaining story that the Bookworms really enjoyed. We took time looking at the included map of New Mouse City, and planning our own Halloween party, based on the suggestions in the book. Since Geronimo Stilton is a newspaper editor, we designed our own newspapers. Each edition included a sports story, animals, smiling people, and a restaurant ad. They turned out awesome! We wrapped up with a giant chocolate chip cookie and lemonade for our snack. 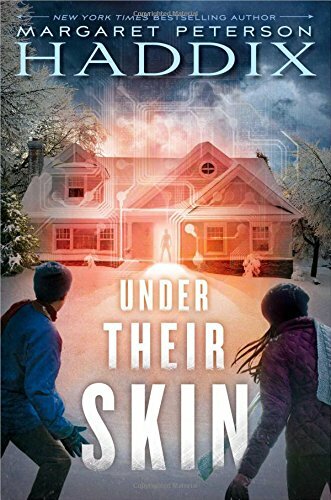 For May we read Under Their Skin by Margaret Peterson Haddix. Nick and Eryn’s mom is getting remarried, and the twelve-year-old twins are skeptical when she tells them their lives won’t change much. Well, yes, they will have to move. And they will have a new stepfather, stepbrother, and stepsister. But Mom tells them not to worry. They won’t ever have to meet their step-siblings. This news puzzles Nick and Eryn, so the twins set out on a mission to find out who these kids are...and why they’re being kept hidden. Because this was the last meeting of the year for the Page Turners we decided to have some extra fun. After a lively discussion of the book that could have gone on much longer, the kids were introduced to geocaching, which was similar to how the characters in the book found something...important. Inside the geocache container was an item essential to the final activity of the night: batteries that powered the bristlebot robots we then made and raced. Snacks were then had, and we said farewell until next year. I can't wait to see everyone again in the fall! Enjoy your summer! Our Rocket Readers finished out this year's book club by reading The Magician's Nephew by C.S. Lewis. The first book in the Narnia series was a big hit for these kids. They loved the fantasy and it started some great imaginative discussion. We spent nearly 15 minutes just talking about chain reactions and "what if" scenarios. This is a spirited bunch with great ideas. Then we got into some creative fun. The kids did a little sewing and made their own pouches for their "magic transporter rings". Lots of laughs, and some great teamwork. This groups kept me laughing and gave me a lot of great food for thought during our discussions this year. I look forward to having them all back next year, and some new readers too! 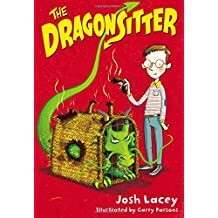 We wrapped up the book club season for Bookworms this week by reading The Dragonsitter by Josh Lacey. After a spirited talk about what it would be like to babysit a dragon, we made our own dragons. These kids had some great ideas about what they would do if they were left with a dragon that was misbehaving. We had a great time this year in Bookworms. There were lots of laughs and the kids shared their great imaginations! Looking forward to starting up again next school year! For April we read Dewey the Library Cat by Vicki Myron. Abandoned in a library book drop slot in the dead of winter, this remarkable kitten miraculously endured the coldest night of the year. Dewey Readmore Books, as he became known, quickly embraced his home inside Spencer's public library, charming the struggling small town's library-goers, young and old. As word of Dewey's winning tail, or rather his tale, spread, the library cat gained worldwide fame as a symbol of hope and proof positive that one small cat could change a town, one reader at a time. All the Page Turners loved reading this non-fiction biography about Dewey the Library Cat. After much discussion we watched some videos of the real Dewey, and it felt like we got to know him even better. We made sculptures using (old!) discarded library books, and had milk and "kitty chow" for our snack. Miss Rhonda's own pet cat Dragonfly spent the hour with us, and she was a hit as well. It was a great meeting! 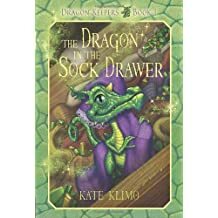 Our selection for the April meeting was the magical title The Dragon in the Sock Drawer by Kate Klimo. The story begins with the children finding a "thunder egg" or a geode, which incidentally speaks to Jesse! The kids were pleasantly surprised by the events that unfolded after Jesse kept the rock in his sock drawer for safe keeping. We had a lot of laughs talking about what we would do if we found a dragon. We topped off the evening by creating our own colorful dragon eggs outside on the children's patio. We had a few broken eggs, but thankfully they were hard boiled. Our selection for the April meeting was from the "wildly" popular series Who Would Win? We investigated Who Would Win? 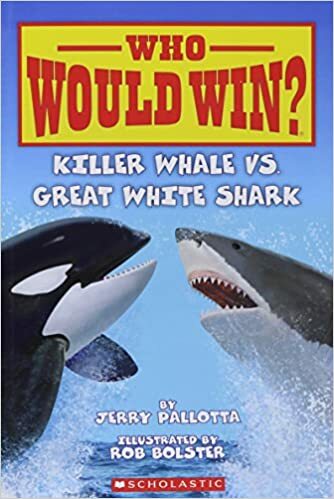 Killer Whale vs. Great White Shark. The kids had a great time talking about these two powerful animals and their strengths and weaknesses. After a very lively conversation, the kids agreed with the books outcome. I won't spoil it for anyone who wants to read it for themselves. After a great snack, we all took a turn learning to draw these animals. I was quite impressed with the group's artistic abilities. 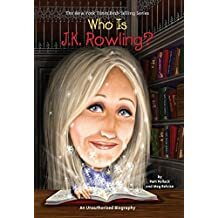 Our selection for the March meeting was the biography Who is J.K. Rowling? from the wildly popular Who Is/Was series. We loved talking about where the creator of Harry Potter got her start and where she found her inspirations. We looked at some beautiful sites around the UK to see what inspired her to create the memorable world, including Hogwarts Castle and Diagon Alley. The kids shared that they like to write and illustrate their own stories too. So it was fun to identify that this literary giant started out writing little stories when she was their age. We finished off the evening by making very interesting quills of their own to begin penning their own stories. 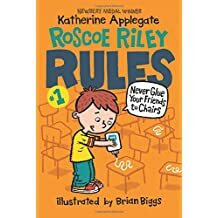 This month the kids read a very funny book called Roscoe Riley Rules #1: Never Glue Your Friends to Their Chairs by Katherine Applegate. While Roscoe didn't want to his teacher to lose her job because his classmates couldn't sit still during their class play, he made a poor choice by using glue to keep them stuck to their seats. Not only that, but to help solve the problem of keeping their bee antennas on, he found the glue helped then too! A hilarious story about a young boy trying to do his best, but not always making good choices. A story the kids and I could relate to. The kids and I had a big laugh when I brought out a big bottle of glue. Of course they asked if I was going to glue them to their seats! The glue was only for creating our own headbands. Which turned out to be quite fun! For February we read Holes by Louis Sacher. Stanley Yelnats is under a curse. A curse that began with his no-good-dirty-rotten-pig-stealing-great-great-grandfather and has since followed generations of Yelnatses. Now Stanley has been unjustly sent to a boys’ detention center, Camp Green Lake, where the boys build character by spending all day digging holes exactly five feet wide and five feet deep. There is no lake at Camp Green Lake. But there are an awful lot of holes. It doesn’t take long for Stanley to realize there’s more than character improvement going on at Camp Green Lake. The boys are digging holes because the warden is looking for something. But what could be buried under a dried-up lake? There was so much to discuss in this great book, that we could have talked much longer. The kids really liked how the three plot lines in Holes came together in interesting ways. After our discussions we went out into yard and dug our own 'holes', to find a certain important artifact in the book. I think we could have dug around in the dirt all night, but the sun was going down so we went in and made our own time capsules out of small, old-fashioned boxes that resembled suitcases. The night was capped off by, what else? A snack of canned peaches! This month we read the classic book Pippi Longstocking by Astrid Lindgren. The kids had a lot of funny thoughts about the unusual girl with red braids. Their imaginations ran wild with thoughts of living like Pippi. After we watched a clip from the movie version, the kids enjoyed ginger cookies just like Pippi's pepparkapor cookies. Then we tried our own recycled style like Pippi by making t-shirt bags. The kids all left with a new bag ready to strike out and have fun! This month the kids had a great time with Miss Ashley talking about the children's classic The Littles by John Peterson. After having fun talking about the book, the kids created their own little art with Shrinky Dinks. Love seeing their creations! I think the kids had fun thinking about what it would be like to be the Littles and live in the walls of the Biggs house. For January we read Masterminds by Gordon Korman. Eli Frieden lives in the most perfect town in the world: Serenity, New Mexico. Honesty and integrity are valued above all else. The 30 kids who live there never lie. They know it’s a short leap from that to the awful problems of other, less fortunate places. Eli has never left Serenity. Why would he ever want to? Then one day, he bikes to the edge of the city limits and something so crazy and unexpected happens, it changes everything. Eli convinces his friends to help him investigate further, and soon it becomes clear that nothing is as it seems in Serenity. The clues mount to reveal a shocking discovery, connecting their ideal crime-free community to some of the greatest criminal masterminds ever known. The kids realize they can trust no one, least of all their own parents. Gordon Korman is a great author, and this book did not disappoint! We had a long discussion about the book itself, and what we thought would happen in the sequal (although some of us have already gone on to read it!). Both the desert and Gatorade play important roles in our book, and so we made sand art in Gatorade bottles to take home. Finally, since some of the characters in the book learned to drive while playing an immersive video game, we did the same! Matthew, PCL's Teen Librarian, set up Gran Turismo 6 (complete with a realisitic steering wheel and foot pedals!) on our huge touch-screen TV and we took turns learning to drive. It was almost a party atmosphere at the end of the meeting, with the perfect tie-in snack of Purple People Eaters and blue Gatorade. We had a blast! This month we had a great time exploring the book I Survived the Sinking of the Titanic by Lauren Tarshis. Told from the point of view of ten year old George, this story follows this boy as the boat strikes the iceberg and the infamous sinking of the "unsinkable Titanic". After some interesting discussions and watching some amazing videos we tried our hands and building our own "unsinkable ships". The kids were each given a set up supplies and ten minutes to try to build a boat that wouldn't sink. Then we tested it by adding pennies. We had a few very seaworthy boats that held up to the test. Judging by the cheers and laughter, I think the kids had a good time. This month we had a blast talking about Captain Awesome to the Rescue by Stan Kirby. Eight-year-old Eugene McGillicudy is an imaginative boy who loves comic books and superheroes. Eugene also has his very own supersecret superhero alter ego named Captain Awesome. MI-TEE! We took some time tonight to find our inner superhero. After a lot of laughs we all picked our own superhero names and then created masks and identification cards. From Dark Star to Galactic X, we all left ready to save the world! Or at the very least have some fun imaginary adventures. This month at our meeting of the Bookworms book club we talked about Miss Daisy is Crazy from the My Weird School series. Miss Daisy is an unusual teacher to say the least. When the students say they hate learning, Miss Daisy says she does too! She tells them she can't spell or do math. The kids come up with some interesting ways to explain the lessons to her. Think she was being tricky? She has some unique ways to get the kids to learn. Later we snacked on bon bons (Miss Daisy's favorite treat), and made our own personalized book bags. Next month we are reading Captain Awesome and tapping into our inner superheroes. MI-TEE! Rocket Readers had a great time this month after we read The World According to Humphrey. We started our evening with a visit from the newest addition to the children’s department. Story and Paige are our library gerbils that were adopted in November. The kids all got to greet and pet them before we started. After a lively discussion about pets and classrooms we got creative and made our own “pets”. Who knew that some faux fur, rocks, and googly eyes could come together to make such cute creations?! Later we snacked on “hamster food” and watched a cute video of a race between two adorable dwarf hamsters named Porkchop and Dumptruck. Next month we are reading a book from the I Survived series. Happy Reading! For December we read The War That Saved My Life by Kimberly Brubaker Bradley. Ten-year-old Ada has never left her one-room apartment. Her mother is too humiliated by Ada’s twisted foot to let her outside. So when her little brother Jamie is shipped out of London to escape the war, Ada doesn’t waste a minute: she sneaks out to join him. So begins a new adventure for Ada, and for Susan Smith, the woman who is forced to take the two kids in. As Ada teaches herself to ride a pony, learns to read, and watches for German spies, she begins to trust Susan, and Susan begins to love Ada and Jamie. But in the end, will their bond be enough to hold them together through wartime? Or will Ada and her brother fall back into the cruel hands of their mother? It was unanimously agreed that this was a great book to read. Ada and Jamie were in a very bad situation, but ended up finding hope in a realistic and unexpected way. I think we could have talked about this book all night because there was so much to think about in the story. We also looked at how British words and American words can vary for the same object, such as how "chips" are called "crisps" in Endland. (And yes, their favorite one was how "loo" equaled "toilet.") Afterwards we made some rustic tree ornaments that hearkened back to 1940’s wartime. Give a group of boys a bunch of hammers and nails, and you always have a good time. The ornaments turned out great, and the snack of cupcakes topped with wartime airplanes was the perfect ending to the evening. The Book Worms club is for kids in the first and second grades. They meet the second Monday from 6–7 p.m., between October and May. Club members discuss the monthly book selection and do a FUN related activity and craft. Annual dues for Book Worms are sponsored by the Pendleton Kiwanis, which pay for 8 books that the members get to keep. Sign-ups start annually in September. The Rocket Readers club is for kids in the third and fourth grades. They meet the third Monday from 6–7 p.m., between October and May. Club members discuss the monthly book selection and do a FUN related activity and craft. 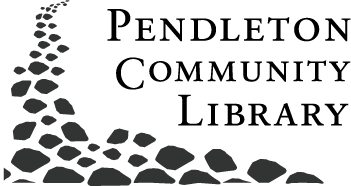 Annual dues for Rocket Readers are sponsored by the Pendleton Kiwanis, which pay for 8 books that the members get to keep. Sign-ups start annually in September. The Page Turners club is for kids in the fifth and sixth grades. They meet the fourth Monday from 6–7 p.m., between October and May. Club members discuss the monthly book selection and do a FUN related activity and craft. Annual dues for Page Turners are sponsored by the Pendleton Kiwanis, which pay for 8 books that the members get to keep. Sign-ups start annually in September.